You are choosing to invest in custom photography. Custom photography that will last a lifetime. These moments that are captured of your little ones tiny details and personality at certain milestones in their childhood are priceless. There are many things that play a part in producing and creating these amazing images during your session. Many hours of preparation go on before during and after your session. I spent lots of time on equipment, props and continuing education to perfect my craft. Many hours spent at my computer editing images and time away from family all to create a lasting memory for you. 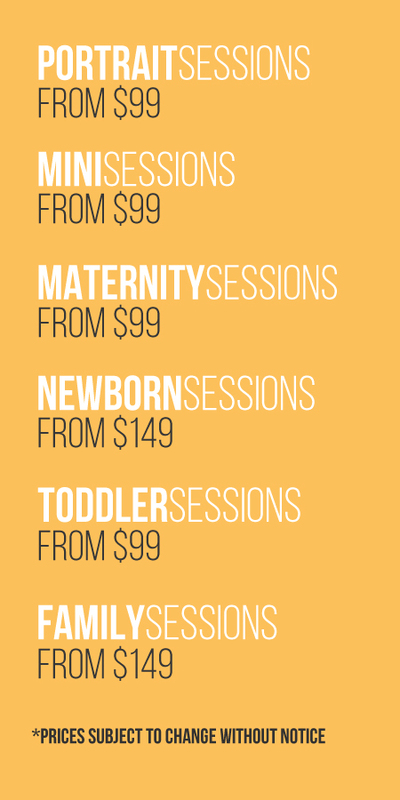 With all this in mind each session fee is carefully calculated. A nonrefundable deposit will hold your date on my calendar with remainder of the session fee due on or before you session date. I can’t wait to help you create memories!! For a more detailed Pricing Guide please contact me.